Millions of Americans are in a real estate dilemma because they are upside down in their mortgage. 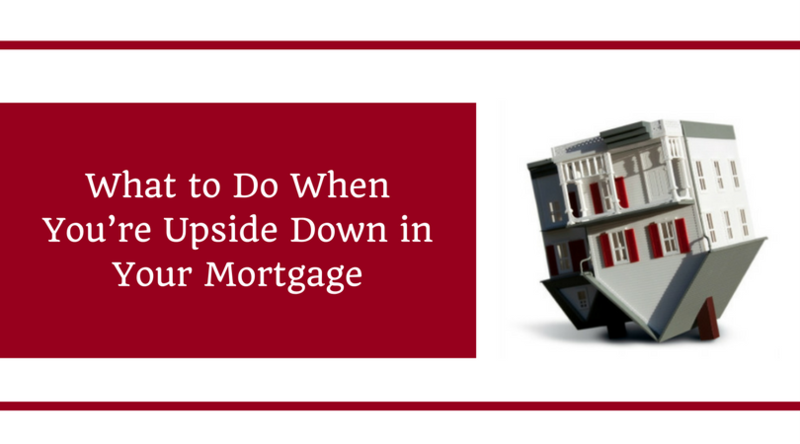 If you are upside down in your mortgage, it means that you the value of your home is less than the mortgage that you owe on it. How does that happen? If you buy a home, you naturally hope that the value would appreciate over time so that you can build on equity. Unfortunately, the general economy will not always work in your favor. Home values improve when there are improvements like public transportation. But home values can also plummet just as fast. If you can still afford it, then why should you stop paying? You’re still living in the house and that’s what matters the most. Besides, you can’t take advantage of the cost savings and move. You’ve also put significant amounts of capital on the property already. So if you keep paying your mortgage, you might be above water soon. If everything goes according to plan, you might even be able to pay off your mortgage soon. Can you rent out the property at a price that just covers the mortgage? Then maybe you can move into a less expensive place for the meantime. This is risky though because you have to carefully select your tenants and make sure that they’re reliable. You don’t want to worry about your mortgage and your tenants at the same time. If you don’t want to move out, then maybe you can just rent out a room. If you have a big house, maybe you can rent two or more rooms. If you’re determined, you can even move to the basement and have the whole house rented! You can opt to sell your house fast in Oklahoma City without having to worry about fees and commissions. There are good companies that are willing to buy houses fast in Oklahoma. Be informed, though, that the total amount of sale might be less than the mortgage. If this is the case then you can ask your bank to accept the sale price and wipe out your debt. If they don’t allow it, then you will be asked to still pay the remaining amount through soft loans. Even if this is the case, you will still be paying for less. The problem is with IRS because there are cases wherein if the bank forgives the loan, then IRS would treat it as taxable income. You might have to consult with a lawyer about this. The federal government wants to make mortgages affordable by plans to adjust their terms. So talk to your lender and revisit your contract. Try to see if you can renegotiate your mortgage. But if none of the above steps work for you, you may have the option to just walk away from it all. This is not recommended though and should only be considered if all else fails. We help property owners just like you who want to sell house fast , in all kinds of situations. From divorce, foreclosure, death of a family member, burdensome rental property, and all kinds of other situations. We are cash house buyers in Oklahoma City, Midwest City, Edmond, Shawnee, Norman and surrounding areas and pay a fair cash price, fast. Sometimes, those who own property simply have lives that are too busy to take the time to do all of things that typically need to be done to prepare a house to sell on the market… if that describes you, just let us know about the property you’d like to be rid of and sell your house fast for cash in Oklahoma City or anywhere in Oklahoma.